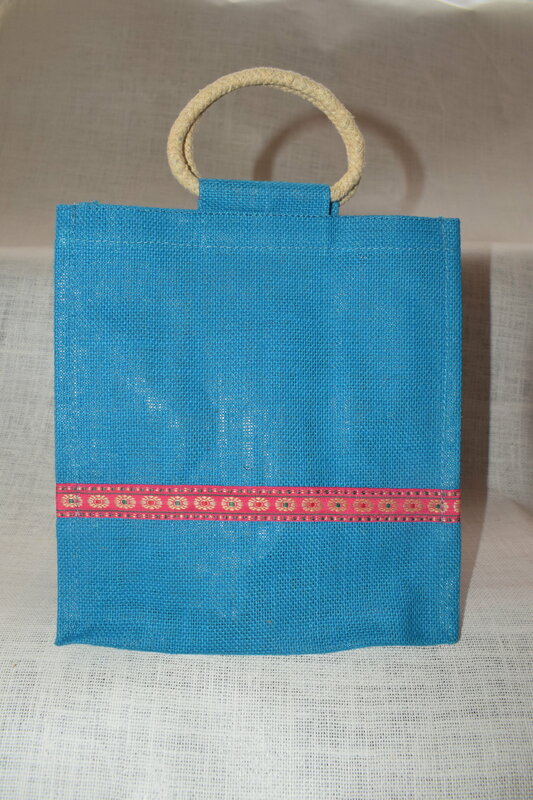 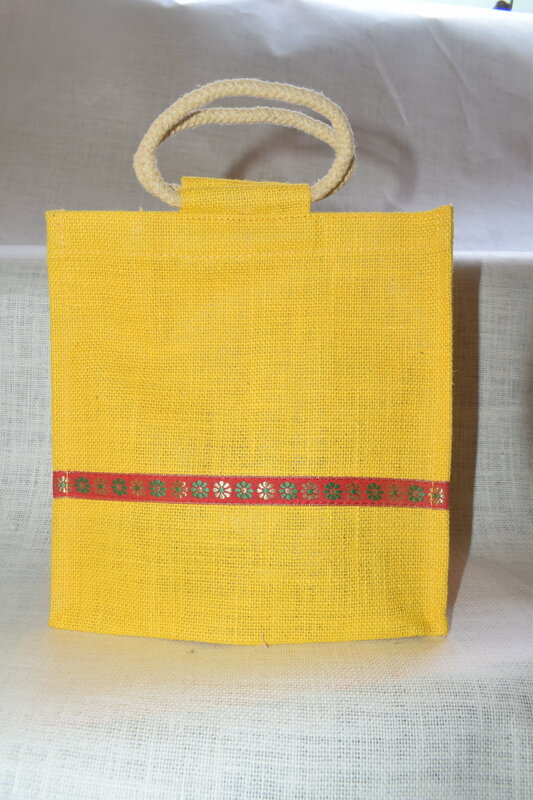 Material:Jute,Height :14 inches ,Width :10 inches,Base:6 inches. 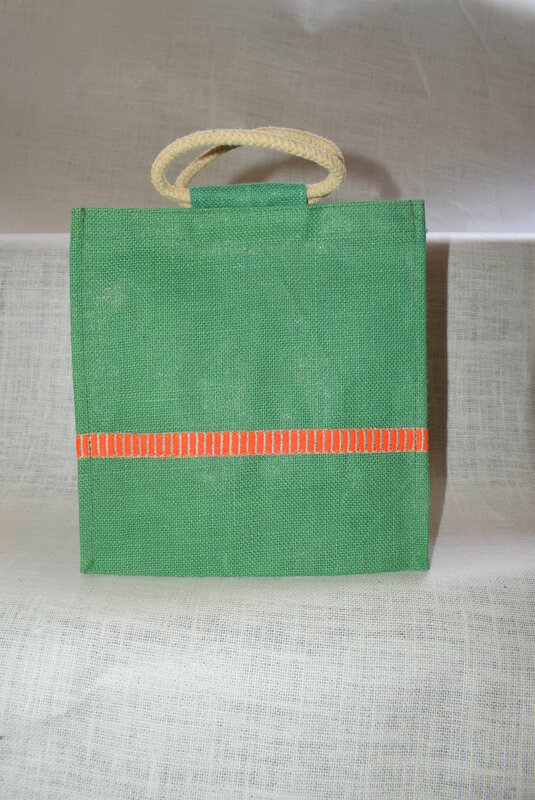 Nover lunch bag is used for multiple things like return gifts,birthday gifts,wedding anniversary. 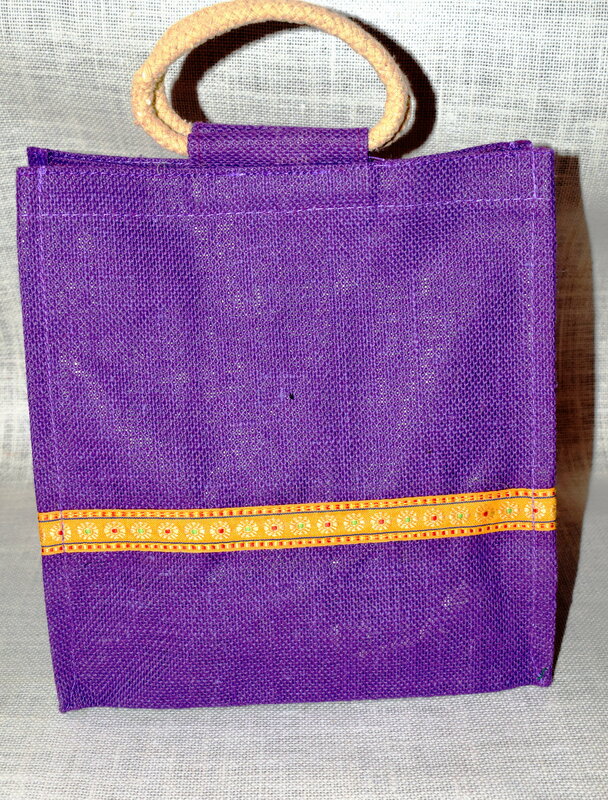 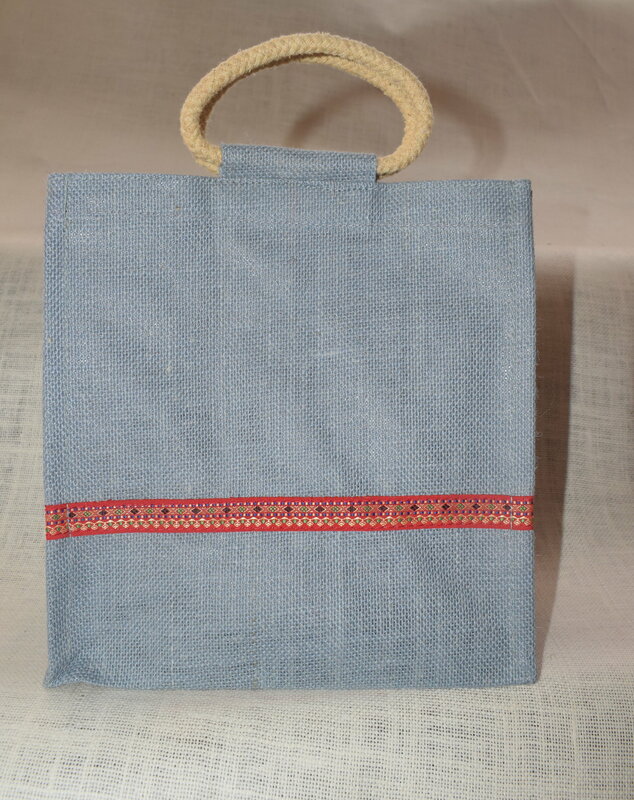 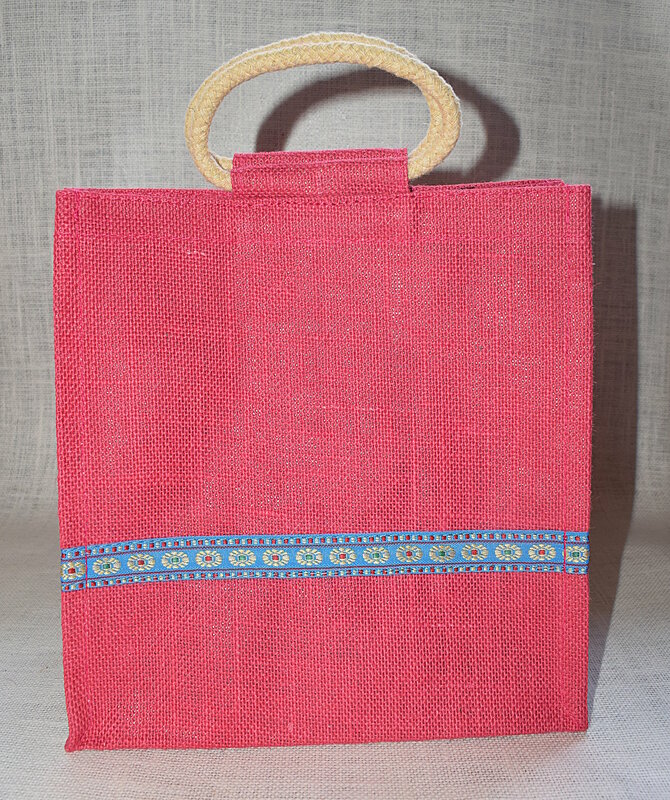 This is a Lunch Bag made from Jute and a decorated with the legendry Bagh Print, best for carrying lunch.